Menopause is a natural transition and happens for every woman. The term is generally used to encompass the whole of a long-lasting process that altogether relates to the end of a woman’s fertility, also known as the ‘change in life’. Menopause is preceded by perimenopause, which is where the hormones begin to fluctuate and/or decline(find out more about perimenopause here) whilst menopause, or postmenopausal, describes women who have not experienced any menstrual flow for a minimum of a year, and whose ovaries have become inactive. How Do We Treat All Stages of Menopause? As a woman moves through each phase of menopause, hormone levels can fluctuate significantly, however, these vital hormones, such as estrogen, progesterone and testosterone remain important for bones, vaginal and urethral health, skin, brain function and cardiovascular health. It is therefore important to effectively balance and replenish these hormones in order to maintain a woman’s health, energy, mood and brain function. 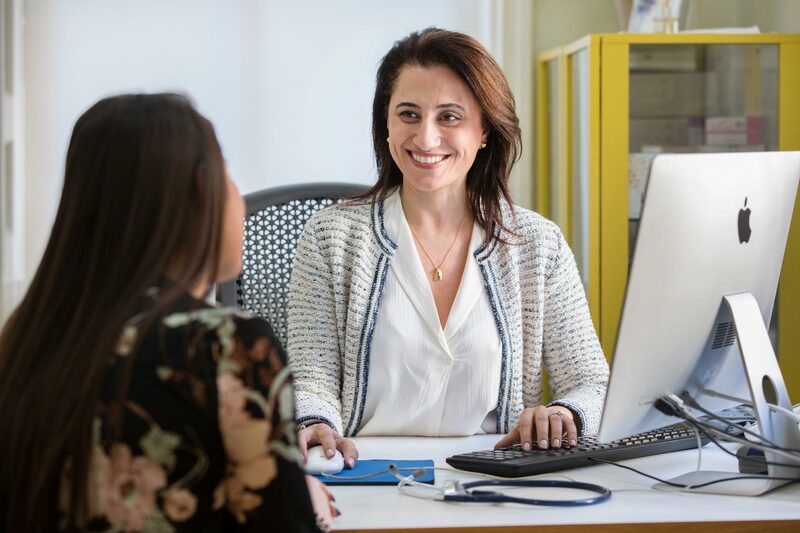 However, one size does not fit all and at the Marion Gluck Clinic we carry out a thorough consultation, together with appropriate tests, when symptoms begin displaying as this enable us to provide a bespoke treatment path, developed for the individual’s needs.